I didn’t know I can dedicate one day in watching one whole season (10 episodes) of this new series I had no idea about. I just saw my friend’s tweets with hashtags of the title #OrphanBlack and got curious. Good thing my other friend, series fangirl already has a copy of the whole first season which is another proof that this series has a promise. For one, I won’t be hooked for one day into finishing the whole first season if it wasn’t interesting. 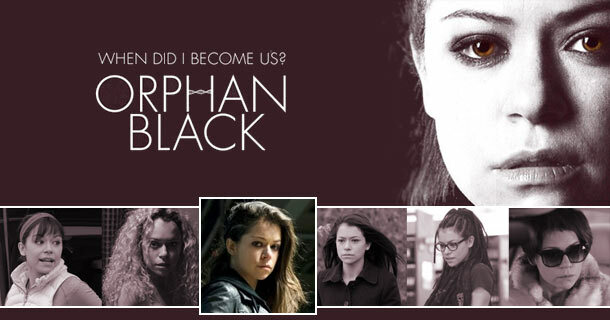 I must say that I am very very very impressed with its lead actors let alone its lead actress Tatiana Maslany who’s a new name for me. She portrayed so many roles in one show where if they didn’t have the same face you’d think they’re really portrayed by different actresses. Tatiana’s a certified chameleon!!! She’s FRICKIN’ BRILLIANT!!! No wonder people have been raving about her getting nominated for an Emmy and actually winning it! I won’t doubt that at all! She definitely deserves it and more! I can’t say much about the plot coz I want people to be curious as how I was when I read/heard about it. I had no idea about the plot, genre, characters or anything! I just simply played the first episode! This show caught my heart, mind and DNA. haha! Waiting for season 2 which will be showing on April 2014 is major torture but I won’t get bored watching the first season all over again. Another thing, I wouldn’t blog about this show if it wasn’t awesome.